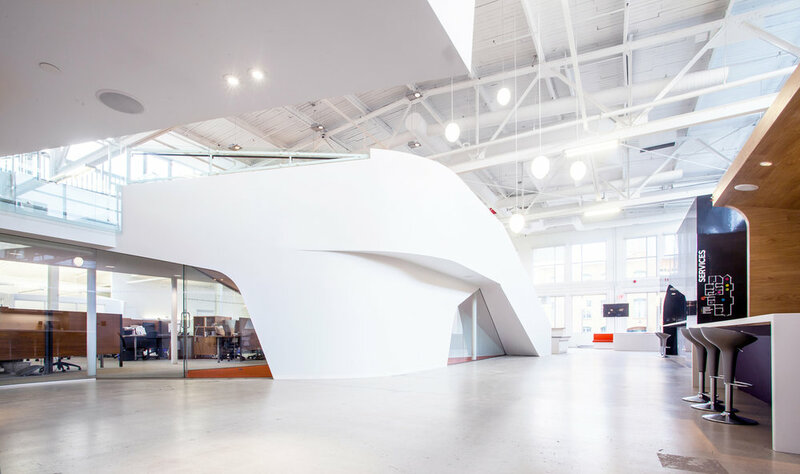 Bensimon Byrne, OneMethod and Narrative PR comprise Canada’s largest independent ad agency, counting over 250 employees across several divisions in Toronto. 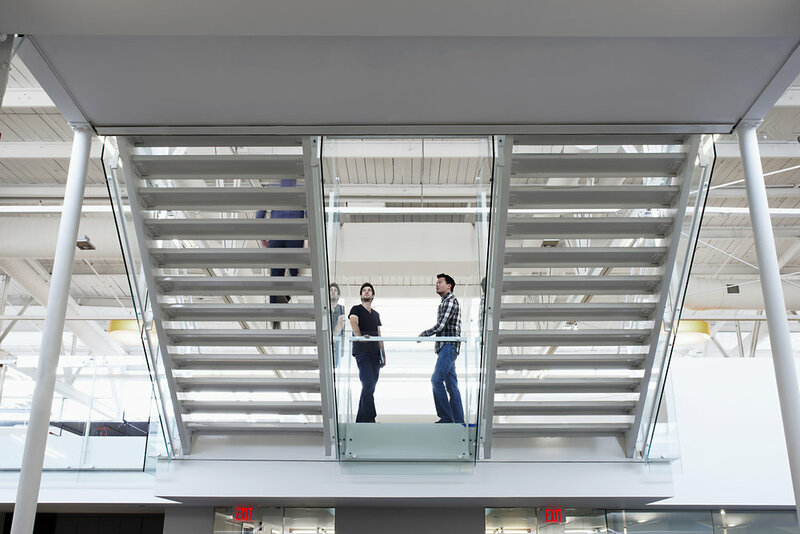 Moving to 225 Wellington Street, at the north-west corner of Philip Johnson’s famed CBC building, the agency now occupies nearly 50,000 square feet of space once inhabited by two-storey recording studios. 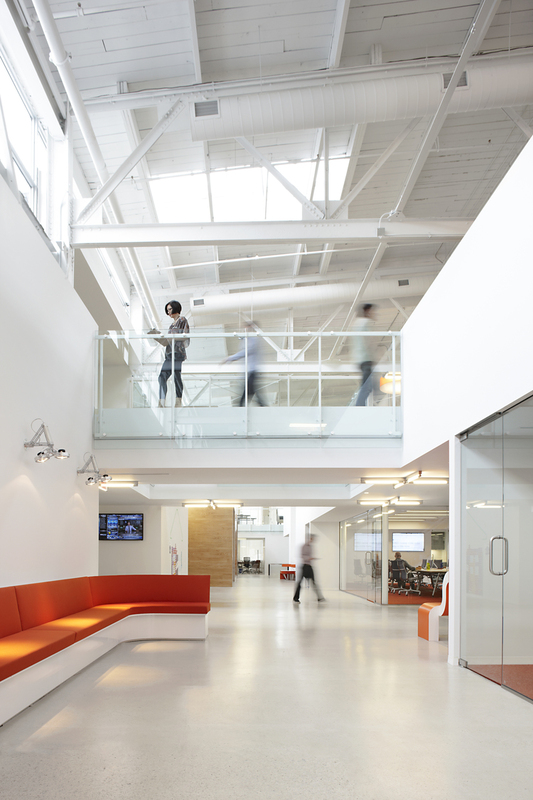 Anchoring the agency at the corner of the building is a united reception space. In keeping with OneMethod’s low-key, urban culture, the agency can also be accessed via a side gallery or alternative side door from the ground floor. Urban design concepts such as “streets” “districts” “landmarks” and “stages” were implemented to create a multi-dimensional space, with each division enjoying its own “neighbourhood”, culture and function. OneMethod’s vibe is that of a converted warehouse with alleyways and overhanging structures. In a culture of “work anywhere”, the design team’s aim was to create an office where people would want to go to work – collaborating, socializing, and enjoying creative freedom. 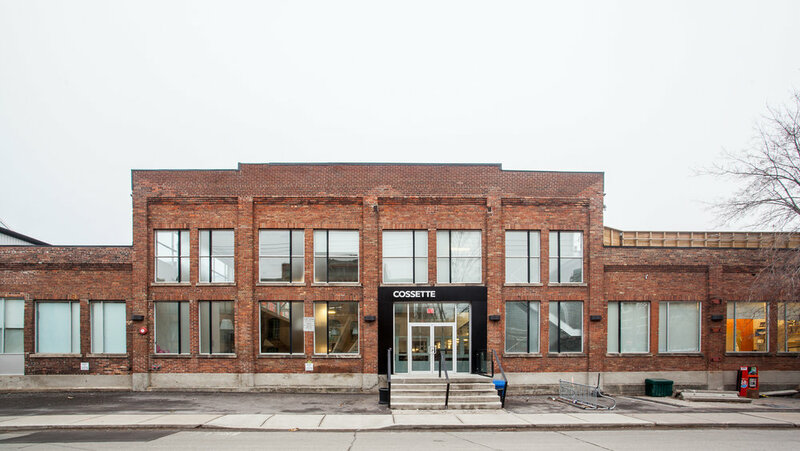 The new Toronto headquarters for Cossette creative agency is located in a large historic factory once used as an ammunition manufacturing during the war in Toronto's renewed Liberty Village. The inside of building has been stripped, and the beautiful steel roof structure and brick walls exposed. The concept is to create an internal street faced by various offices, departments and workstations, which acts as the main public corridor. 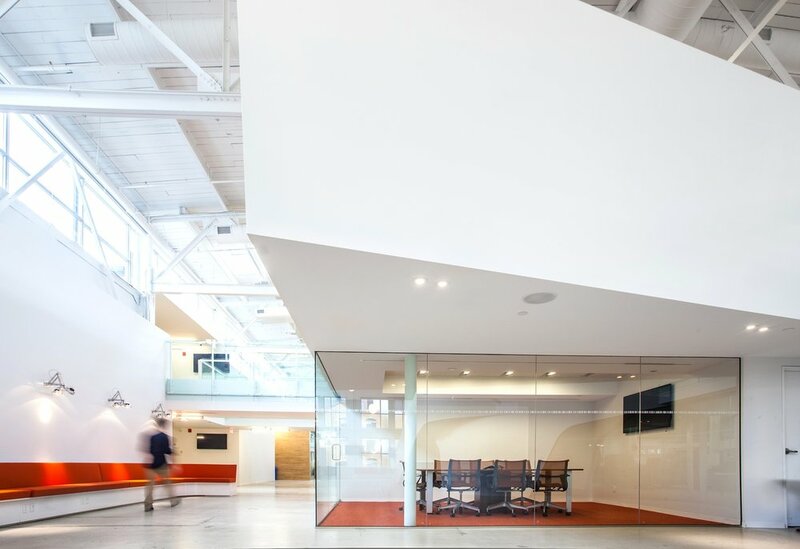 It also provides an informal meeting spaces for the 300+ employees, connects the two actual street addresses’ at each of end of the building. A series of “pods” float above the work areas and public thoroughfare to serve as break-out creative spaces. 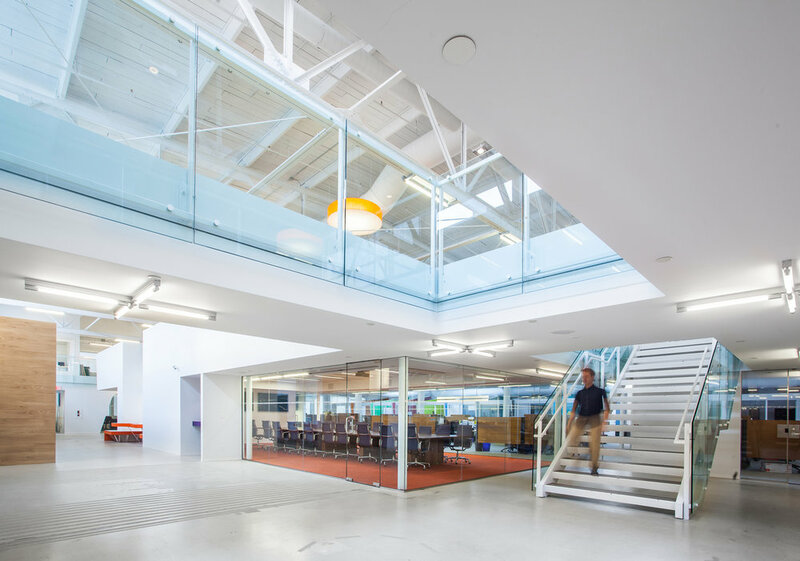 The design harnesses natural light from the upper clerestory windows and fills the building with light. The pods are accessed by various stairs and interconnections that lead to a rooftop patio and outdoor space. Cossette finally has a space that truly represents who they are: vibrant, creative, full of energy, and always on the move. In collaboration with Teeple Architects Inc. Awards : Canadian Interiors Award for "Best of Canada"